Now, one more team is to fix its place in the knockout stage. The other two teams of the same group are also fighting for the same spot. 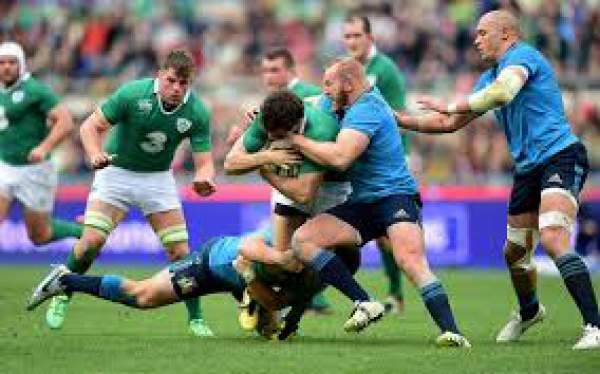 Ireland will want to be the part of the last 16 slot by winning the game against Azzurri. Ireland got disappointment in the last match. They lost to Belgium by 3-0. Martin O’Neill’s team can’t afford another such loss. The Republic of Ireland needs to uplift their game with their performances in all the segments of the series. It is because they can’t afford such a big loss once again. If they want to stay alive in the competition, they would have to raise their bars. The result of another game being held today will not affect Ireland’s future in anyway. If Ireland wants to go into the next round, they will have to win the match at anyhow and at any cost. Else, Irish players will have to pack their bags and return home. O’Neill will inspire his players with the fact that they defeated world champions Germany last October. As Italy is already confirmed for the knockout stage, Antonio Conte would like to make some alterations to give others players a chance. It will help him to find new talents. As per the latest updates, many of the star players will be given rest (the extreme strong backline). For Italy, it will be the match for them to stay perfect and carry the momentum into the next round of play against the champions Spain in the first round. Conte is expected to make several changes, and he would be careful of losing the rhythm. It has enabled them to get their place in the last 16 and reach the top spot in the group. Ita vs Ire is scheduled for a nine p.m. local time (12.30 a.m. IST, eight p.m. BST, three p.m. ET) start. The TV and live streaming information you need are below. India: TV: Sony ESPN/HD. Live Streaming: ESPN.in and Sonyliv. UK and Ireland: TV: ITV1. Live Streaming: ITV Hub. Italy: TV: Rai Uno and Sky Sport 1 Italia. Live Streaming: Sky Go Italia. Russia: TV: TV: Russia 1 and NTV Sport. Germany: TV: ZDF and ORF. Singapore: TV: Eleven Singapore and Singtel. Live Streaming: Singtel Go.